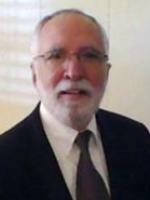 Dr. George Casey began coaching and teaching coaching in 1986, and holds an ICF ACC Certification. He has led human resource departments as a manager and executive in a variety of settings, which include retail, financial, state government, higher education, non-profit, and religious organizations. George has co-facilitated and mentored scores of coaches through the Coach Approach Skill Training. He has made significant contributions to the CAST III Group Coaching curriculum, and is an accomplished coach in the areas of leadership, group coaching, and strategic intelligence. Leading Change with Strategic Intelligence Individual Coaching Program — this program includes 8 two hour sessions of content rich coaching. These sessions are conducted by telephone. Register Here or email George for details. Coaching Groups — 8 to 16 Participants (7 hour in person session) Register Here or email George for details.